Continuing with the ‘barely changed’ theme of Yamaha’s 2010 models, the Yamaha YBR125 learner bike gets a restyled fuel tank cover, exhaust shroud, grab rail and instruments. Technically, it’s still the same simple air-cooled single cylinder commuter machine as the 2009 model. 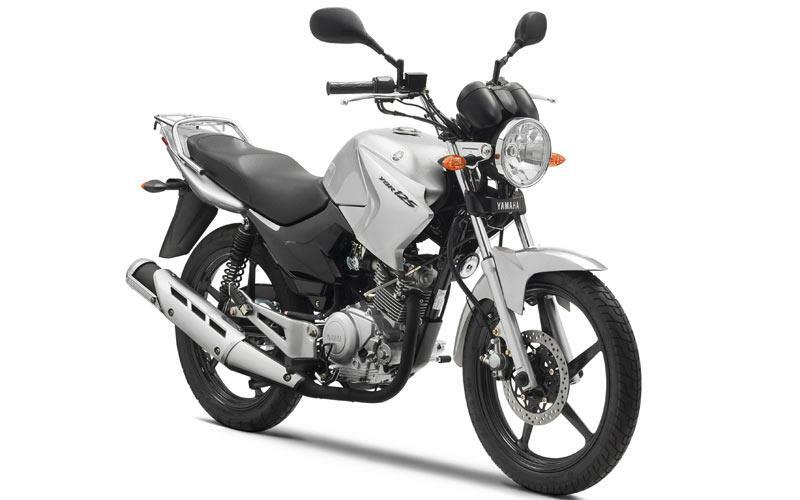 Yamaha says: “Featuring an economical and reliable air-cooled engine housed in a compact, easy-handling chassis, the YBR125 has become one of the most successful lightweights ever produced by Yamaha. “Its winning combination of ease of use, attractive styling and remarkable economy has established the YBR125 as a firm favourite with commuters all over Europe. "In fact, since its launch in 2005, the Yamaha YBR125 has become one of the most successful models in the 125cc category, with over 75,000 units sold. “For 2010 Yamaha have concentrated on creating an even more attractive and comfortable package with a number of changes to the bodywork and chassis. “A new fuel tank cover gives this attractive 125 a more muscular grown-up look, as well as offering additional protection to the bike’s fuel tank. "There’s also a new more aerodynamic analogue instrument panel with an integrated RPM meter located above the headlight assembly – and the refreshed styling for 2010 is completed with a redesigned exhaust muffler.